You can capture Live Photos of FaceTime video calls at any time during a FaceTime video chat on iPhone or iPad. This offers a fun way to capture moments of a video chat, and just like any other Live Photo, the resulting image will be a short video clip with audio that is saved and able to be shared as usual. 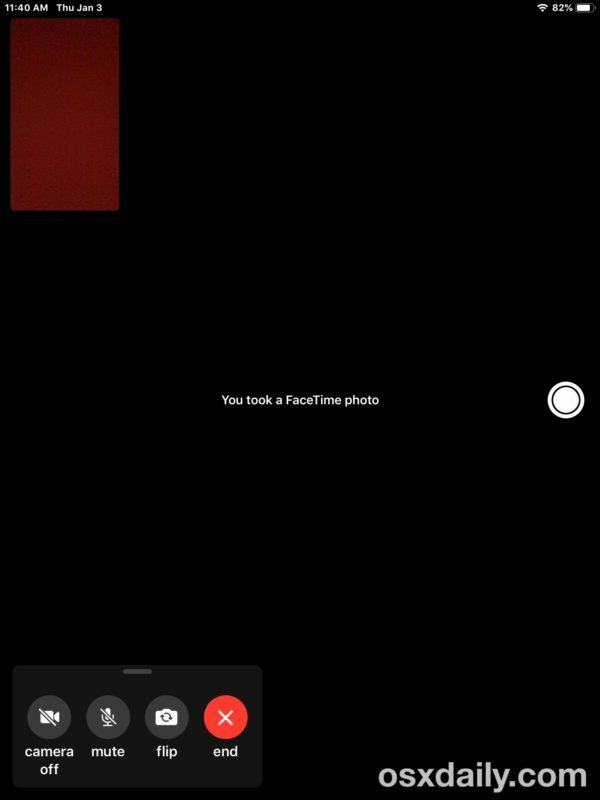 And yes, you can capture Live Photos of any FaceTime Video call, including Group FaceTime video chat with other iOS users (or Mac users). The resulting Live Photos appear in your Camera Roll within Photos app just like any other Live Photo you may have captured. 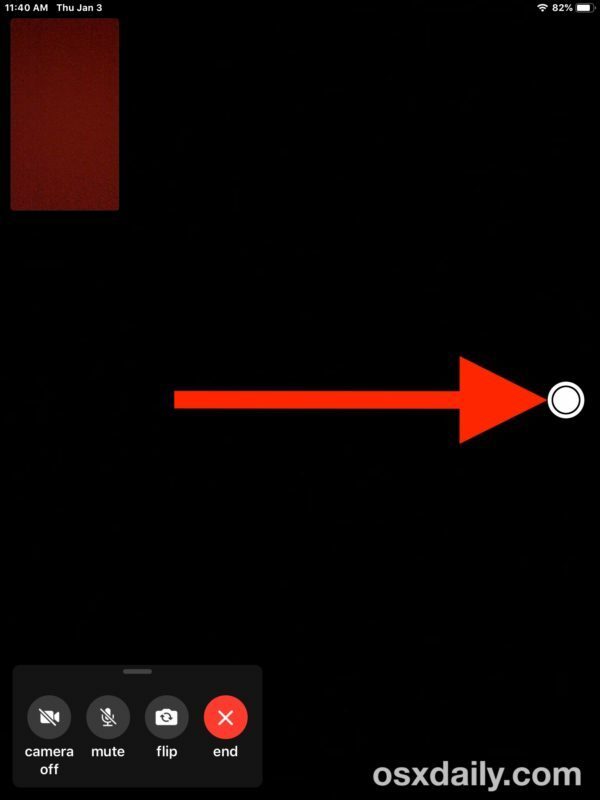 Like any other Live Photos, you can use the various Live Photos effects on these snapped live pictures from a FaceTime Call, including loop, long exposures, and bounce. You can also share the snapped Live Photos from FaceTime with others as usual, or send the Live Photos as an animated GIF to someone else if you’d like, or convert the Live Photo to a still photo too. Note that the ability to use Live Photos captured within FaceTime Video has no impact on Live Photos in the general camera app, and thus enabling or disabling Live Photos on iPhone Camera will not impact the Live Photos capability of FaceTime, nor vice versa. Outside of FaceTime, you can also snap Live Photos with the Camera of iPhone or iPad at any time with the general camera app or lock screen camera. Note that the ability to take Live Photos in FaceTime was briefly removed from iOS 12 but was later returned again in newer versions of iOS 12 past the 12.1.1 release version, thus if you don’t have the Live Photos capability on compatible iPhone or iPad you must update your iOS system software to a newer version first. If you know you’re on a modern version of iOS and you still don’t have the Live Photos feature in FaceTime Video calls, it’s possible your device is either not compatible with the feature, or that it’s turned off within the iOS Settings app “FaceTime” section. and my friends and family using Android phones 📱 so they can’t see all effects at all. Hope you doing well and thanks for sharing!